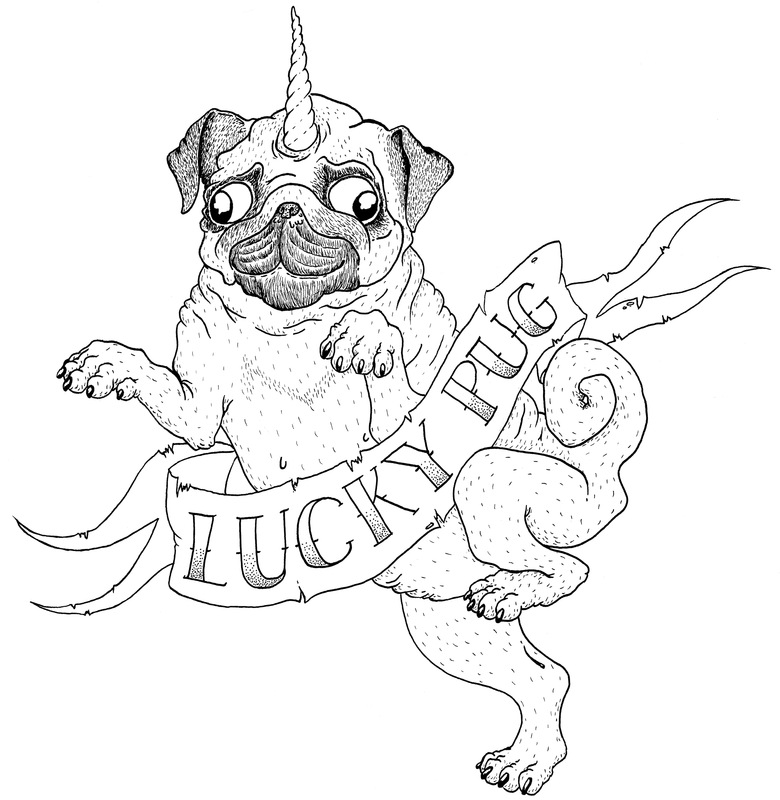 I was commissioned to draw a T-shirt design by Lucky Pug, a website dedicated to tattoos of pugs (turns out a lot of people have them!). The shirt has now been printed and is available in their store! This entry was posted in Designs and tagged Clothing, Creepy, cute, dog, Fantasy, Lucky Pug, pug, retro, scroll, shirt, T-Shirt, Tattoo, Unicorn, Vintage. Bookmark the permalink.